Semina Life from Weinor is the real alternative when you need tried and tested form and technology coupled with value for money. 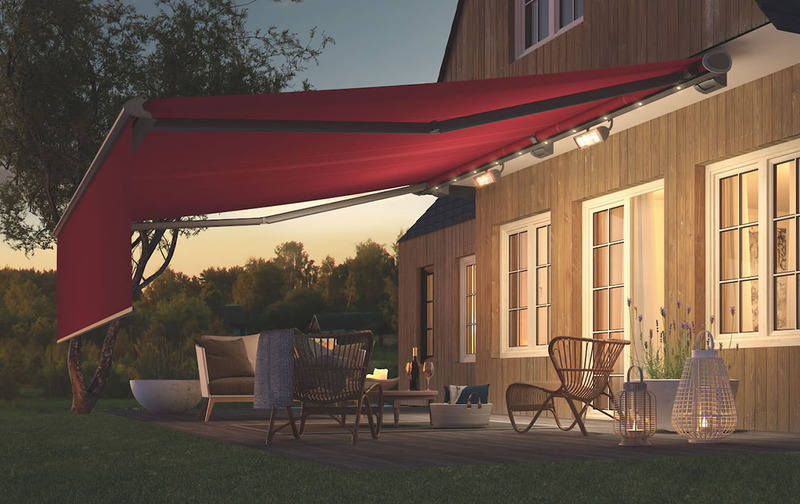 It offers a modern and innovative design that ensures this cassette folding arm awning system will provide a practical lifestyle solution over a long operating life. 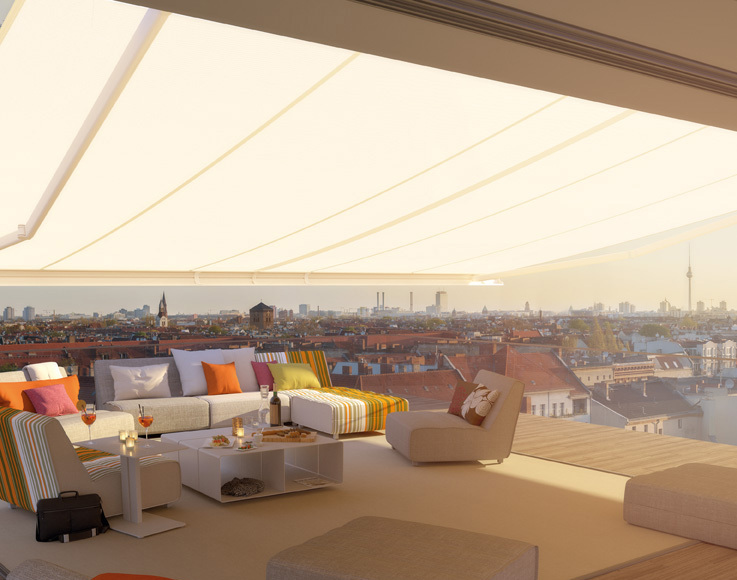 Whether your home is modern or traditional, Semina Life is the right choice in Patio Awnings. The beautifully shaped stainless steel look headplate rings provide a visual highlight and enhance the customised combination of the frame colour and fabric pattern. 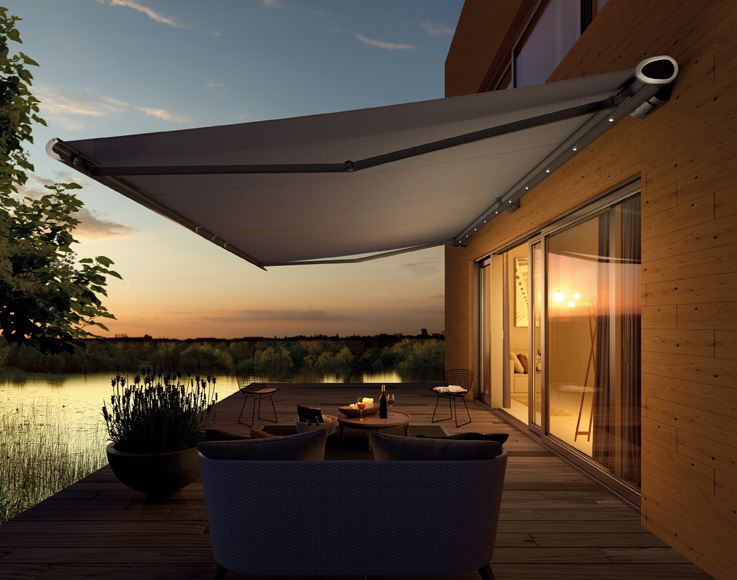 The Semina Life cassette protects the awning against the weather. 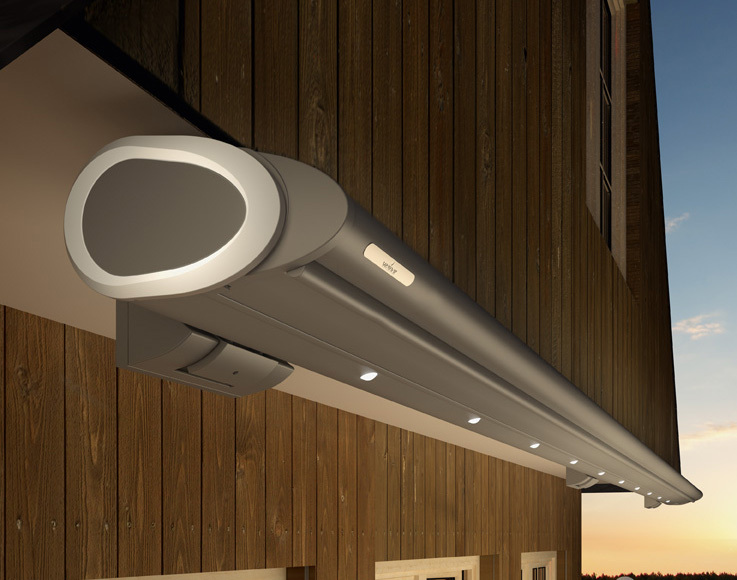 The awning closes with practically no wear at all thanks to the cushioned infeed rollers. The flexible all-rounder full cassette awning. Range of mounting options makes it suitable for any application.